I'm sorry if this is early, but the Christmas themed goodies have already started to appear… eek! Disappointingly a lot of what I have seen are the same limited edition products from last year, which is a bit disappointing. There were one or two new things. 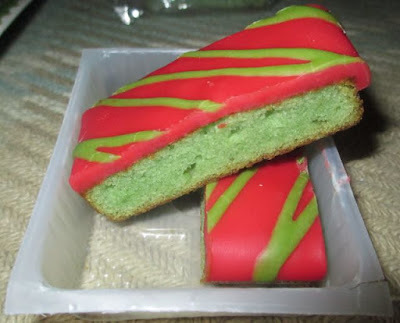 I haven’t seen these new cake slices from Mr Kipling before so I picked them up. 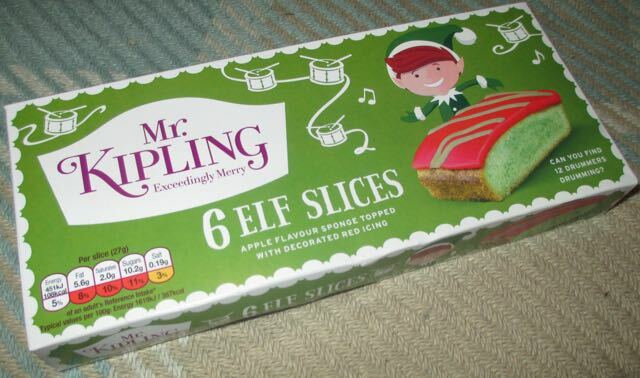 The Elf Slices are red and green in colour, mentioning drummers drumming on the box and are elf themed, they are undoubtedly christmassy. I purchased them with the intention of writing about them in early November. I can’t quite concentrate on Christmas until after Halloween. 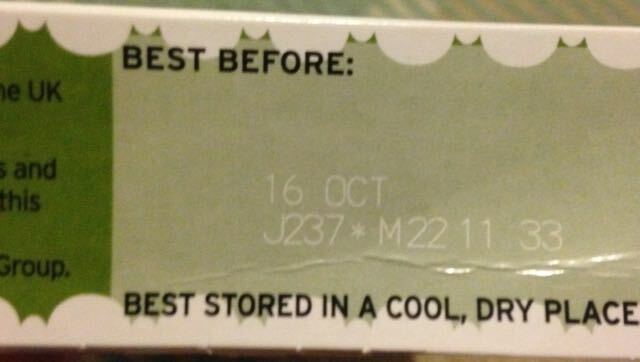 As I was popping them onto the shelf at home the Best Before date caught my eye; “16 Oct”. This date is significantly before Christmas, so I’ve kind of been forced into reviewing my first xmas cakes early. Inside the box are three sealed packs of two slices, which is a very good way to keep the uneaten cakes fresh until you want them. The cake slices are very similar to all the Mr Kipling cake slices, soft sponge with a soft icing, that melts in the mouth. I mentioned earlier that they are green and red, but I think I should point out they are VERY green and red. I love colour, but these were bright by even my standards! The flavour was sweet with plenty of apple, they had a very pleasant flavour, and were easy to eat. There wasn’t much in the way of seasonal cinnamon spice, but the apple taste was pleasantly fruity. These will make an excellent christmas treat, perfect to share with a coffee when friends come round. 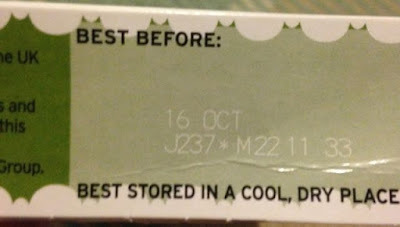 Just be aware of the ‘Best Before’ dates if you purchase them early.